The initiative was part of global International Chefs Day celebrations conducted jointly between Nestlé and the World Association of Chefs’ Societies (Worldchefs), aimed at encouraging healthy eating among children. “We believe that good eating habits should be embedded during childhood, and that cooking should be part of the educational process,” said Roger Frei, Business Executive Officer at Nestlé Professional Middle East. 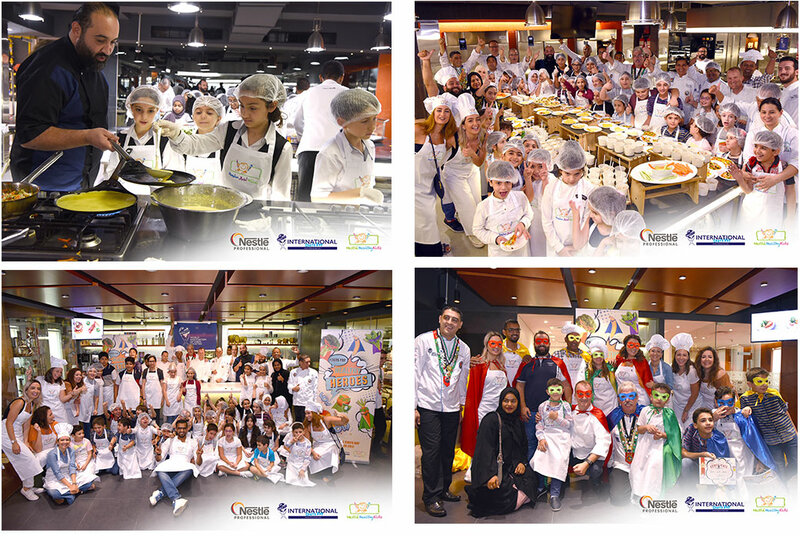 As part of the Nestlé for Healthier Kids Global School Programme, children from 84 countries around the world are taking part in cookery workshops led by chefs from Nestlé Professional. To promote healthy eating and a balanced diet beyond the workshops, participating children are also receiving recipe cards to take home and use to prepare meals with their families. The Emirates Culinary Guild (ECG)in Dubai is the UAE’s association of professional chefs; a non-profit organization dedicated solely to the advancement of the culinary arts of the UAE. Nestlé Professional is dedicated to delivering creative, branded food and beverage solutions that enable foodservice operators to delight consumers. From innovative beverage systems under the Nescaféand Coffee-Matebrands, to on-trend culinary items fromMaggi, Chef, NestléDocello, Nestlé Professional meets the needs of foodservice operators while satisfying the tastes of the out-of-home consumer. 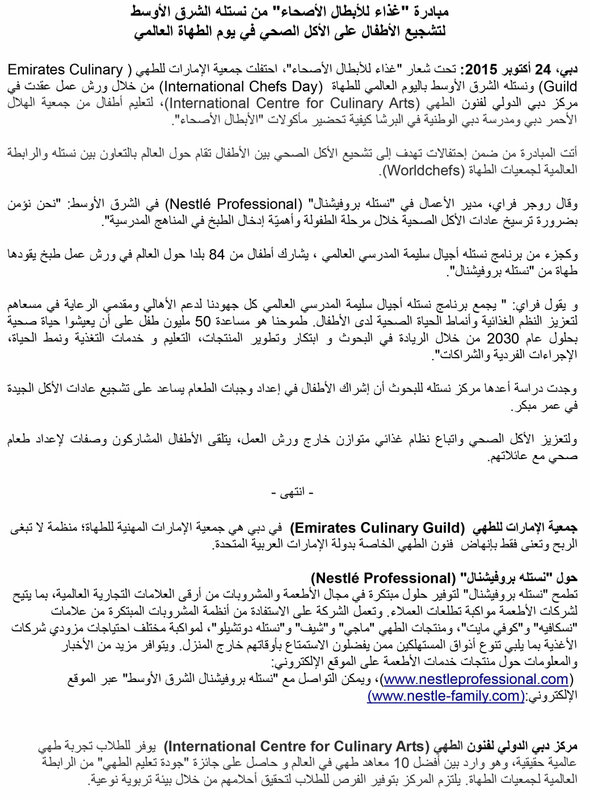 For foodservice product news and information, visit nestleprofessional.com, or contact Nestlé Professional Middle East by visitingwww.nestle-family.com. The International Centre for Culinary Arts (ICCA) provides its students with a truly world class culinary experience, and is featured amongst the top 10 culinary institutes of the world. It’s received the “Recognition of Quality Culinary Education” award from the World Association of Chefs Societies (WACS), and is committed to providing opportunities for students to realize their dreams through a quality educative environment.